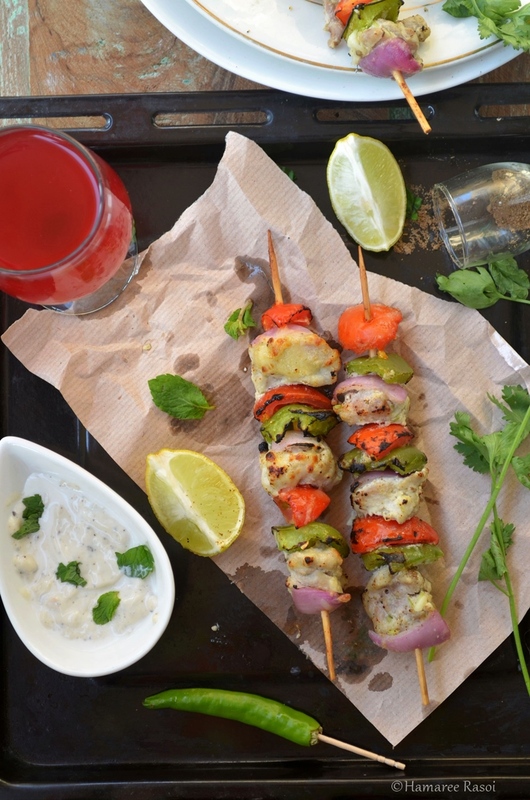 If weekend means parties at your place then certainly kebabs can't be far behind. 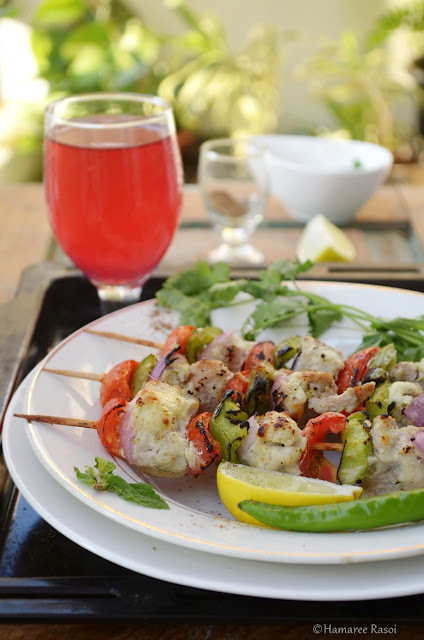 Kebabs are one of the very popular Indian appetizers. 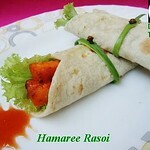 Chicken Reshmi Kebabs are soft and succulent courtesy Mughal cuisine. 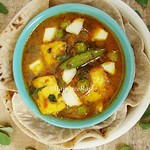 Reshmi means 'silky' in Hindi, addition of cream and cheese makes it silky or 'Makhmali' texture. The word 'Kebab' means small pieces of meat or vegetables marinated and then threaded onto skewers and finally grilled over charcoal or in an Oven. 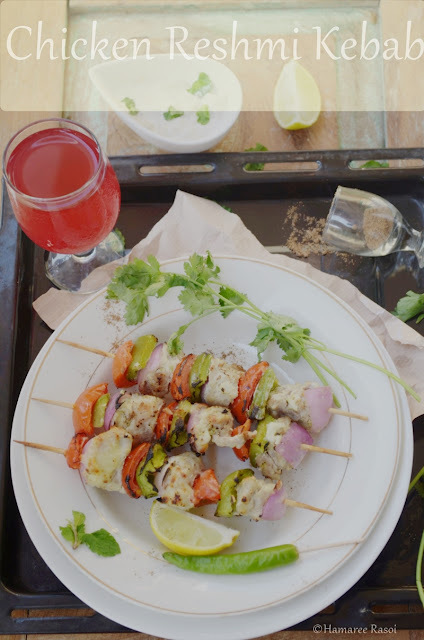 Today's recipe Chicken Reshmi Kebab has boneless chicken pieces that are marinated with hung curd, cream, cheese and cashew nut paste. No matter how much you make these melt in mouth Reshmi Kebabs, chances are that soon it is going to vanish from the plate ! Though very easy on spices, the real hero is the marination process in which we use hung curd along with mild blend of spices. Soak almonds and cashew nuts in warm water for 20 minutes. Wash the chicken pieces and place them in a strainer for the excess water to drain. Peel the skin of almonds and make a smooth paste of almonds and cashews. Grate cheese in a bowl and mash it, add hung curd, finely chopped chilies, ginger-garlic paste, almond paste, salt, cream, cardamom and pepper powder. Pour 1 tbsp oil and coat chicken pieces well and keep it overnight or minimum for 7-8 hours. If you are using wooden skewers then dip them in warm water for 20 minutes. This step is done to stop igniting as soon as you put them in grill. Skip this method if you are using metal skewers. Pre heat the Oven at 350 F Degrees for 5 minutes. Place a thick sheet of aluminium foil on the bottom tray to catch any dripping marinade. Arrange the chicken pieces into skewers and brush them with melted butter. Put them inside the oven on Grill for 15 minutes, flip them and grill again for 15 minutes. Do brush them with butter as soon as you take out from the grill. 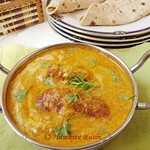 This step will lock the moisture and your kebabs will be very soft and juicy. 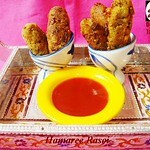 Sprinkle some chat masala over the kebabs and serve hot with Coriander Chutney and salad. 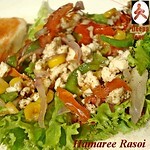 I served it with mayonnaise and added diced onions, capsicums and tomatoes while grilling. read more.. "Chicken Reshmi Kebab | Murg Malai Kebab "
The mere mention of soft, smokey and charred Naan makes me go weak in my knees. Getting it exactly the way I have mentioned above in a rice dominated city is quite some task. 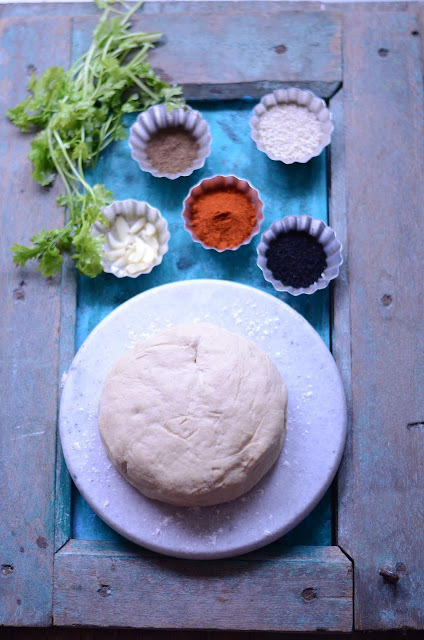 So for a long time I was testing my skills to master the art of making Naans at home. 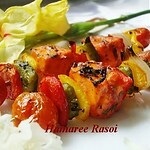 The word "Tandoor" is a method of cooking, where a cylindrical Clay or Oven is used for cooking. 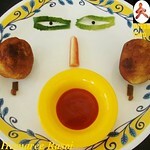 Heated to a very high temperature by using wood or charcoal, in which any kind of marinated meat or bread can be cooked. 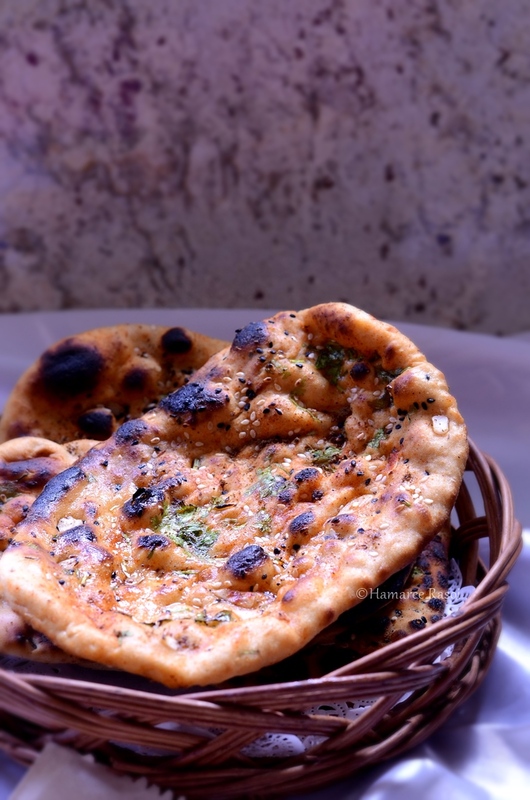 Non availability of tandoor prompted me to try it out in a humble pressure cooker which came to my rescue and delivered the same charred, very soft Naan that could be torn into finger bites. 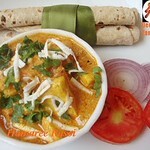 I hate chewy Naans that need both hands to tear it off and then when you chew it becomes an exercise for your gums ! Talking about Naans here I should mention my Indian Flatbread Recipe is one of my most visited recipe also do check out shahi (royal) version of Naan called Baked Peshawari Naan . Coming back to today's Garlic Butter Naan, the dough after kneading should be very soft not very sticky. Since this recipe doesn't have yeast in it so you do not need to leave the dough for hours. It is more kind of a quick fix for your naan craving. But I can assure you of taste and softness of my Garlic Butter Naan. Adding nigella seeds, sesame seeds along with chopped garlic not only adds prettiness but also add a lot of flavour. At the end do apply generous amount of melted Ghee ( yes, please don't compromise here if you want to have restaurant style Garlic Butter Naan) and sprinkle some chaat masala. I promise the easier process and fluffier texture due to baking soda and baking powder will encourage you to make it more often. As these are made with equal portions of Wheat flour and all purpose flour. Sift the flours with salt, baking soda and baking powder. Make a well in the dry ingredients, add yogurt, oil right into the middle and mix well. Do add milk in between while kneading. Initially the dough will be sticky but keep kneading it for few more minutes and it should be fine. The dough should be of soft consistency. Lightly grease a large mixing bowl, place the dough and cover with a damp kitchen cloth. Find the hottest area in your kitchen and keep it aside for an hour. Punch down the dough and throw in some chopped garlic, divide and shape them into bigger size than of a golfball. 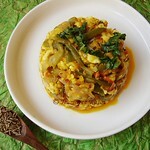 Keep everything ready near stove and put the pressure cooker on high flame then on low flame. 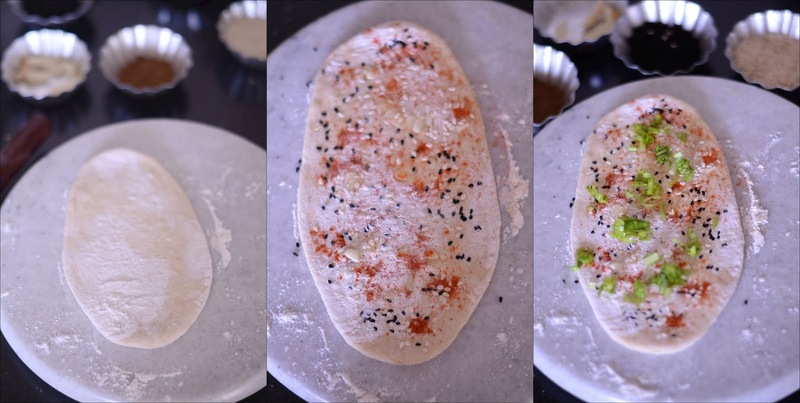 Stretch naan dough rather than rolling it and give oblong shaped( if you are not able to stretch it by hand then go ahead and use a rolling pin). While stretching it, try to get thicker around the edge and with another hand give it a teardrop shape from one side. Sprinkle some sesame seeds, nigella seeds, finely chopped garlic cloves, chopped cilantro and press with slightly wet hand on one side. For color I sprinkle red chili powder and believe me it gives a nice color once cooked. 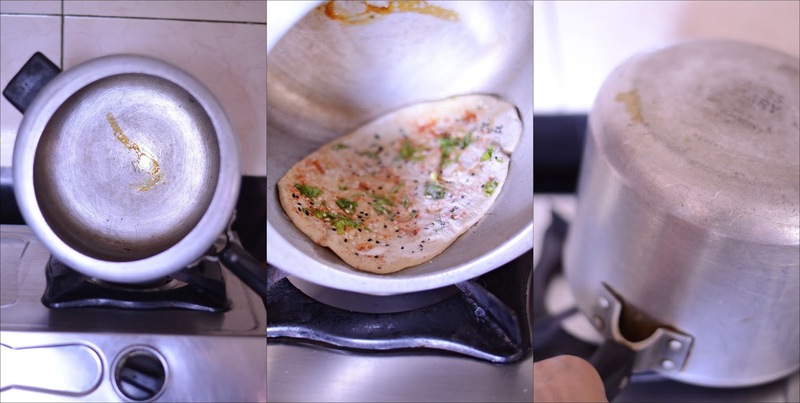 Take the rolled naan in your palm and wet the back side with very little water with your fingertips, stick the wet side of naan inside the wall of pressure cooker and place it evenly. Press lightly with your fingertips so that when you play around with the pressure cooker upside down it should stick and not fall off. As soon as you place the rolled naan, put the flame on high and let it cook for 1 minute, that's when you will see lots of bubbles right away (takes about few seconds). Lower the heat and after that keep rotating the cooker by holding the handle with a wrapped cloth or else you will feel the heat directly on your palm. I know it sounds a challenge but soon after 2-3 naans you will get the hang of it. 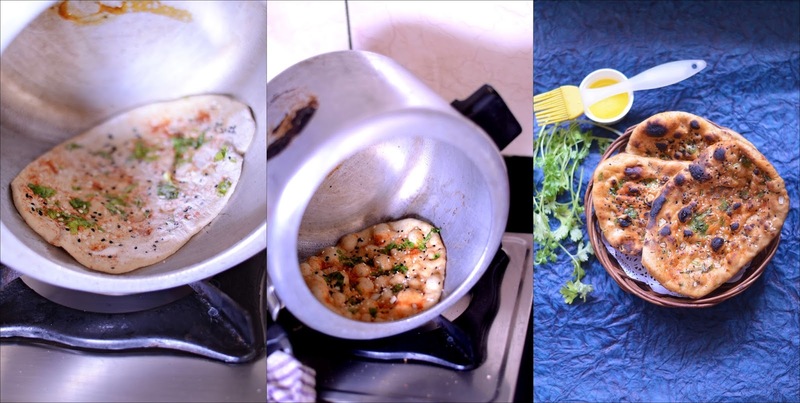 If you want it lightly charred then flip the pressure cooker upside down and put the flame on high (in a matter of few seconds you will see brown spots are visible), always be vigilant when doing this step or else it will turn into total burnt piece of naan ! 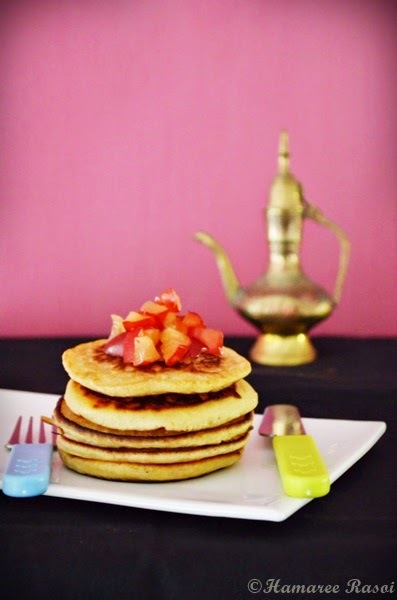 With Seekh Kebab skewers take the naan out and immediately apply ghee with a brush. 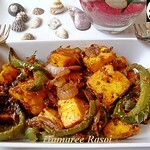 Sprinkle chaat masala and serve with your choice of side dish. 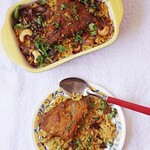 I served it with Mutton Keema curry. These remain very soft if nicely wrapped( with a clean cloth) in a casserole for next 30 minutes. 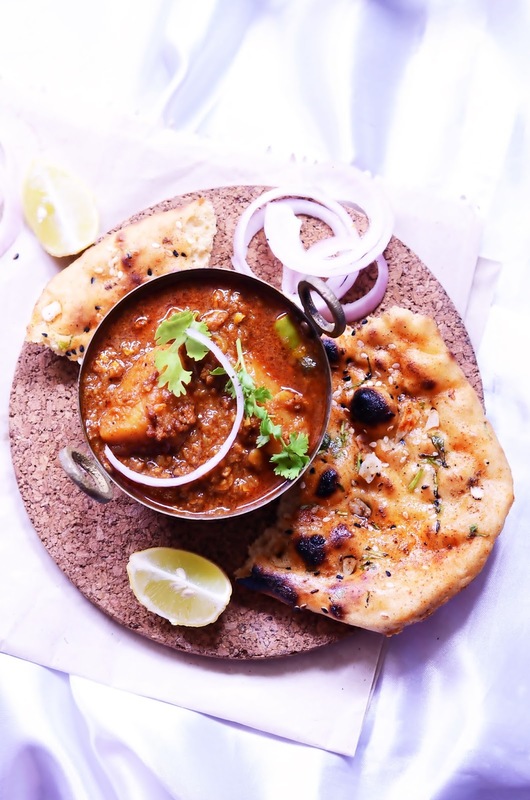 read more.. "Garlic Butter Naan in Pressure Cooker | Roti Recipe | Indian Flatbread"
Gondhoraj Lebu is a hero amongst all lime and lemon family at any Bengali household. 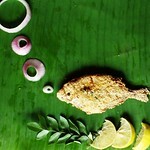 This is a familiar and much sought after lemon variety in a Bengali household. 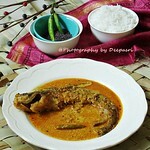 Its aroma and flavour gives it a distinctive class. 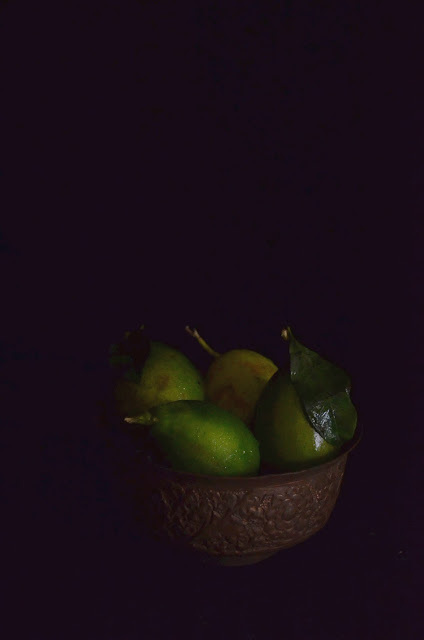 Gondhoraj lebu is much bigger in size than a regular lemon and oblong in shape. 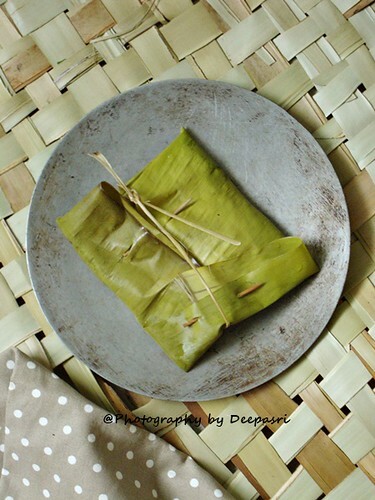 True to its name it imparts a beautiful aroma not only when you slice it but also the thick green skin of it. 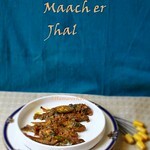 And today's post is a heavenly blend of Gondhoraj and Doi er Ghol. Doi er ghol is nothing fancy but an excellent traditional summer soother. Doi means Yogurt set at home when diluted with chilled water, little bit of sugar and salt turns into a refreshing drink. Simple Doi er Ghol gets a transformation when you add a dash of gondhoraj lebu and is less diluted than Doi er Ghol. The addition of zest of Gondhoraj which imparts a strong citrus flavour into the drink is a wonderful way to get instant energy. Don't get confused with North's Lassi, a rather thick version where buffalo milk is churned with a mathani. A much thicker variety if you compare it with our traditional Doi er shorbot. Ghol is on the other hand a little version preferred during hot summer days. It is said to have a cooling effect. 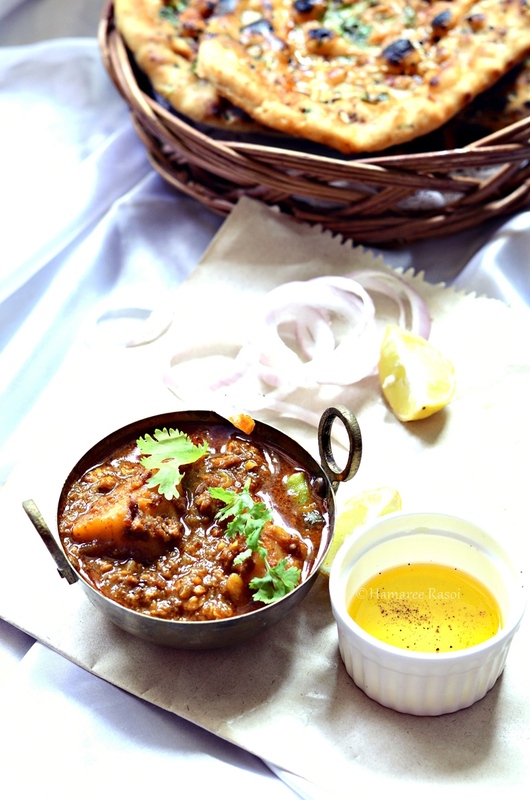 Take a wooden churner (mathani) and churn all the ingredients together in a deep vessel. Check the salt and sugar according one's taste. Pour into tall glasses and serve immediately. read more.. "Doi er Shorbot (Gondhoraj Lebu diye) | Yogurt Based Summer Drink"